Blood Pressures are provided on Monday and Thursday, 8:00 - 5:00, open over lunch, on a walk-in basis. There is no charge for this service, and no appointment is necessary for these times. For more information on these and many other services, please contact the Perry County Health Department at (573) 547-6564. Pregnancy tests are done on regular office days: Mondays and Thursdays, 8:00 AM - 5:00 PM. No appointment is necessary.There is a nominal charge for the cost of the pregnancy test, except when Medicaid or Temporary Medicaid can be billed. A urine pregnancy test is used that can detect pregnancy hormones (HCG) after a missed menstrual cycle. A negative test result can be interpreted to mean that you are not pregnant or that it is too early in the pregnancy to detect. The Perry County Health Department respects the confidential nature of this service and the importance of early prenatal care. It is therefore the policy of the health department to serve women of all ages without parental permission. All information is confidential and services are provided on a non-discriminatory basis. Women with positive pregnancy test results, can be assessed to determine if they qualify for Temporary Medicaid. An application is done on-site at the Health Department. Temp cards cover early prenatal care but do NOT cover delivery. There is a financial guideline to qualify. Applications for Medicaid (not Temporary Medicaid) must be made at the Family Support Division. Though PCHD no longer performs Cholesterol Testing it is still important to discuss concerns with our nurses- please contact you medical provider for locations for testing in their facilities. Heart Disease is the single biggest killer of American men and women with one person dying every minute. According to the American Heart Association this year alone an estimated 700,000 Americans will have a new coronary attack and about 500,000 will have a recurrent attack. The average age of a person having their first heart attack is 65.8 for men and 70.4 for women. Cholesterol is a fat-like substance that occurs naturally in the body. If too much accumulates in the bloodstream the excess is deposited in the arteries. Over time, this extra cholesterol can clog your arteries. This increases your chances of having a heart attack of stroke. People of all ages and backgrounds can get high cholesterol. It often goes undetected because most people with elevated cholesterol show no symptoms. Testing is the only way to determine if there is a problem. It is recommended that healthy adults 20 years and older should have their cholesterol levels checked at least every 5 years. Your doctor may want you to test more often if your cholesterol levels are high. Total Cholesterol is the total amount of cholesterol in the blood at any given time. A desirable level is less than 200mg/dL. HDL is often referred to as the "good cholesterol" because it helps clean fat and cholesterol from your blood vessels. Your HDL level should be kept at 40mg/dL or higher. The higher the better! LDL is often referred to as the "bad cholesterol" because it contributes to the buildup of fat deposits in the arteries. The goal is to maintain your LDL level below 100mg/dL. Triglycerides are another type of fat found in the blood. When your triglycerides are high, it can raise your risk for heart disease. A healthy triglyceride level is less that 150mg/dL. Exercise Regularly – The Surgeon General recommends that adults should engage in moderate-intensity exercise for at least 30 minutes on most days of the week. Don't Smoke – Smoking injures blood vessels and speeds up the hardening of the arteries. Smoking or breathing secondhand smoke greatly increases a person's risk for heart disease and stroke. If you don't smoke, don't start. If you do smoke, ask your doctor about programs to help you quit. Get a Blood Test – A simple blood test can check your cholesterol levels. This test is sometimes performed in a doctor's office or lab. If you have high cholesterol your doctor may prescribe medications in addition to lifestyle changes. The ‘lipid profile' measures several kinds of cholesterol as well as triglycerides and blood glucose. It is performed with a simple finger stick and the results are available in just 5 minutes. A blood pressure measurement will also be taken. The quick results allow you to receive immediate counseling that can lead to behavior changes and a healthier lifestyle. A copy of the results will be yours to take and can also be faxed to your doctor at your request. The cost for the lipid profile testing at Perry County Health Department is $20 and an appointment is needed. If you wish to schedule your test, please call (573) 547-6564. The promotion of healthier lifestyles combined with routine cholesterol testing is a major step in reducing coronary heart disease. Hours available 8:00 am - 5:00 pm- HOWEVER THIS SERVICE IS ONLY BEING OFFERED FOR A SHORT TIME- YET DURING 2018. Lead screenings are provided in accordance with the recommendations of the American Academy of Pediatrics (AAP) guidelines.Screenings are done on scheduled lead clinic days or by appointment. The Health Department provides this service free of charge. The Health Department currently sends blood samples to Tamarac Medical Lab for analysis. Tamarac requires that if client has Medicaid, MC+ or private insurance, we submit a copy of the insurance card. If the screening shows an elevated lead, further testing will be recommended. 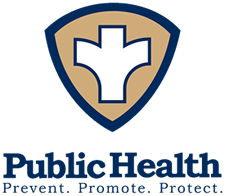 For more information about lead poisoning, call the Health Department at (573) 547-6564.